The New Hampshire man who allegedly careened through busy Brewer traffic on Sunday reached speeds up to 90 mph during a police chase that involved more than a dozen cops, according to court documents. 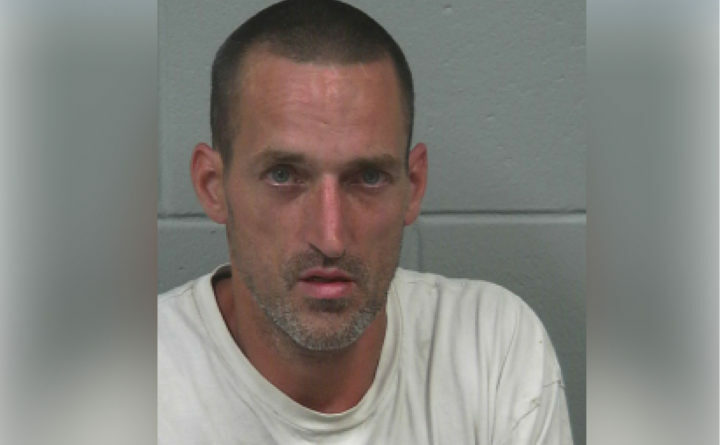 Brewer police ultimately arrested Joshua Dube, 45, just before 4 p.m. after the man allegedly crashed his blue pickup truck into a fence off South Main Street and fled the wreck on foot, the documents state. It’s unclear why Dube, of Nashua, New Hampshire, allegedly raced into Penobscot County that afternoon. He reportedly told police that he had been addicted to heroin for 25 years and was trying to get back to his home state to buy more because he ran out that morning, according to a police report. Dube’s court-appointed attorney, Terence Harrigan of Bangor, declined to comment on the case because he has not yet met with his client. Dube first caught the attention of other drivers on Sunday while driving Route 1A in Hancock County, police said. Around 3:30 p.m., multiple drivers called to report Dube’s blue pickup truck winding through traffic on the busy road in Dedham, according to Holden police Chief Chris Greeley. The speeding truck had crossed into Holden by the time Holden Officer Kevin Harvey switched on his lights and sirens, Greeley said. The truck pulled over, but Dube allegedly sped back into traffic before Harvey could approach the driver, Greeley said. Meanwhile, Penobscot County Sheriff’s Deputy Andrew Whitehouse was on the lookout for the truck at it headed toward Brewer, the deputy wrote in his police report. As Whitehouse passed the entrance to I-395, he saw the blue truck pull into Maine Fireworks on Wilson Street and then accelerate in the opposite direction down Wilson street, speeding past numerous cars, Whitehouse wrote. The deputy flipped on his lights and sirens and tailed the truck, he wrote. Picking up speed, the truck made a sudden sharp turn onto the I-395 ramp, careening to the left of one car, to the right of another, and finally, to the left of a third that slammed on its brakes while the truck rounded the corner onto the interstate, Whitehouse wrote. Once on I-395, Whitehouse estimated the truck was zipping along at around 80 mph. Whitehouse followed, he wrote, pursuing the pickup as it made another sharp right turn off the highway at the Parkway South exit. Dube ran the stop sign at the end of the off-ramp, drove across two lanes of traffic on Parkway South and then entered the westbound on-ramp of I-395, according to the deputy. The truck and the cruiser were now pacing at 90 mph, Whitehouse wrote. The truck took another sudden turn off the highway and dropped into “medium to heavy” traffic on South Main Street in Brewer, according to the police report. Blowing through a red light and driving down the center of the road, Dube forced cars on both sides of the yellow line to swerve out of the way before he eventually lost control around a sharp bend just past the Cianbro plant, and plowed into an embankment and through a nearby fence, the deputy wrote. Whitehouse spotted the driver running away from the wreck, and the deputy followed with his gun drawn. But by then, multiple backup units had surrounded the driver, later identified as Dube, and Brewer police placed him under arrest. Whitehouse’s report cites 13 other officers that responded to the scene, but it’s unclear from his report when they joined in the high-speed pursuit. Dube, who has a history of reckless driving convictions, appeared before a judge at the Penobscot Judicial Center in Bangor Monday to face five reckless driving charges, including felony counts for aggravated criminal mischief and driving to endanger, according to a court clerk and court documents. He was not asked to enter a plea because he has not yet been indicted on the charges, a clerk said.